RVMedia 4.0 has been released. This update supports Delphi and C++Builder 10 Seattle. Since this version, RVMedia can be installed in Lazarus IDE for Free Pascal. Yes, you can create a video chat between Windows and Linux computers. Lazarus is supported only in the full (source code) version of RVMedia, the trial versions are only for Delphi and C++Builder. Previously, TRVCamera only supported H.264 video streams, if DeviceType = rvdtRTSP or rvdtHTTP (with help of FFMpeg or GStreamer). If DeviceType=rvdtIPCamera, it supported only MJPEG video streams. Since this version, if FFmpeg is available, it supports H.264 video cameras in DeviceType=rvdtIPCamera mode. 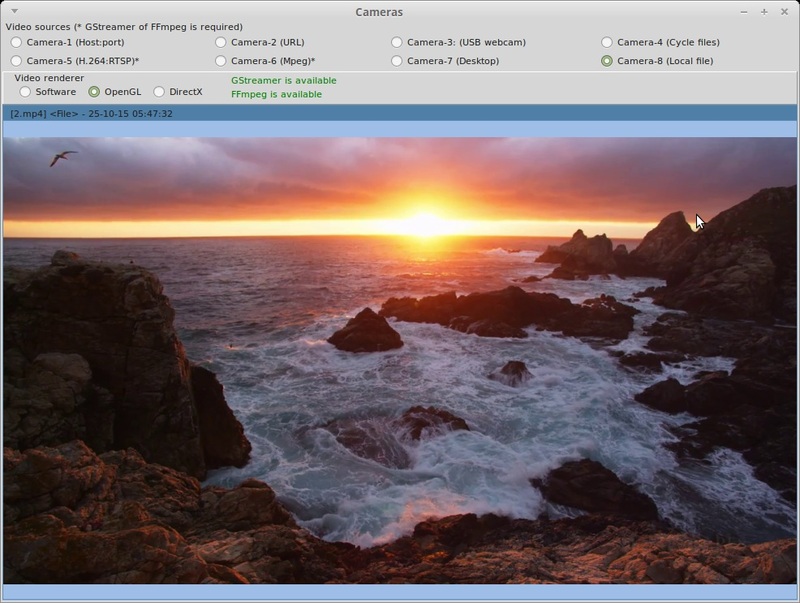 The camera detection method (SeachCamera) can search either for MJPEG or H.264 cameras, depending on VideoFormat property. We optimized many operations related to camera detection, sending and receiving multimedia data. You may notice that in our demos the user interface is responsive even when playing videos from high-definition sources that require a high CPU usage to process. An integrity check for received multimedia data is improved. Special measures for keeping connections alive are added. Better processing of connections errors for video streams, etc. Last edited by Sergey Tkachenko on Sun Oct 25, 2015 6:38 pm, edited 4 times in total. All RVMedia features are implemented both for Windows and for Linux. Obviously, except for DirectX rendering mode. If you assign RVCamView.RenderMode=rvmrmDirectX, a software image rendering will be used. In Linux, we highly recommend using OpenGL (RVCamView.RenderMode=rvmrmOpenGL), it is noticeably faster. Lazarus projects are available for all our demos. In all demos, Delphi and Lazarus projects share the same units. Lazarus projects produce files for the default platform, i.e., when compiled using Lazarus for Linux, they generate Linux applications. The RVMedia installer is a Windows application. To use in Linux, install it on a Windows computer, then copy files to a Linux computer. Last edited by Sergey Tkachenko on Sun Oct 25, 2015 6:37 pm, edited 4 times in total. We updated a list of sample cameras. We made changes for compatibility with Free Pascal. This demo now uses "no-wait" mode for the camera-1, so there are no delays on start any more. Calls to Applications.ProcessMessage are removed from these demos. Due to optimizations in RVMedia 4, the user interface is responsive without additional measures. This demo is separated to MediaTest_Delphi and MediaTest_Lazarus. User interface is updated: you can see how many specific data (video, audio, files, etc.) are received from clients (the "total" may be greater than the sum of specific data, because it includes traffic for maintaining connections).